Chindit (West Cumbria) Company of Cumbria ACF were named overall winners of the Blind Veterans UK Cadet and Youth Challenge for coming up with the best organised and most innovative response to the challenge to complete a half marathon in the most unusual and imaginative way. Their Company Commander, Major Linda Johnston, was also awarded the trophy for the most outstanding instructor involved in the Challenge. Chindit Company started the event with a mile of foot drill and for the next leg undertook a field training exercise moving tactically. During the third leg the cadets were required to follow compass bearings using orienteering skills and at each checkpoint were given first aid tasks and physical exercises to complete. The cadets completed the final leg in Canadian canoes paddling up Ennerdale Water, the Lake District’s most westerly lake, and returning on mountain bikes to a log run of 100 metres. 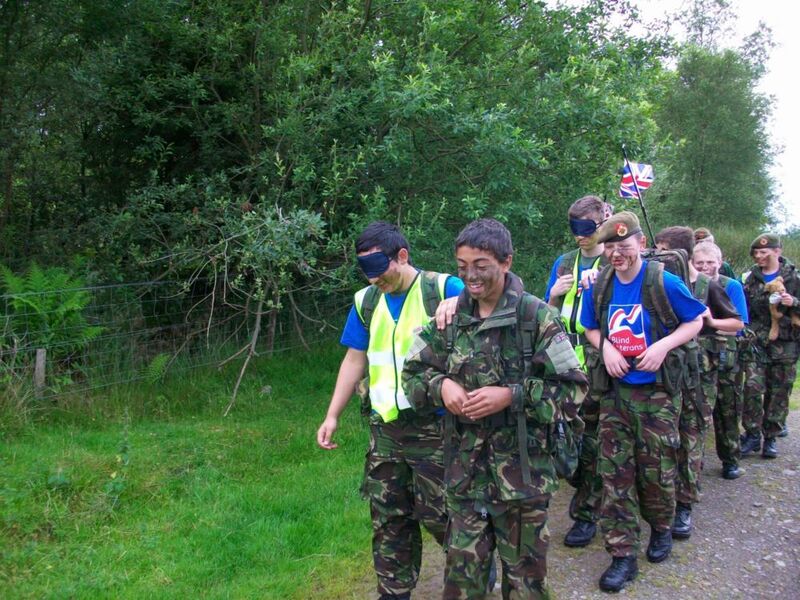 During each leg a number of cadets were blindfold and led by their comrades in order to better understand the value of sight.